Hey everyone! I have not posted in such a long time! A lot has happened over the past few months. First off, I MOVED! I moved from Portland, Oregon to Pensacola, Florida, and I am attending the university of my dreams. I am so excited to share more about my adventure, such as the move and a campus tour! I am so excited to update you all, and share what has been going on. 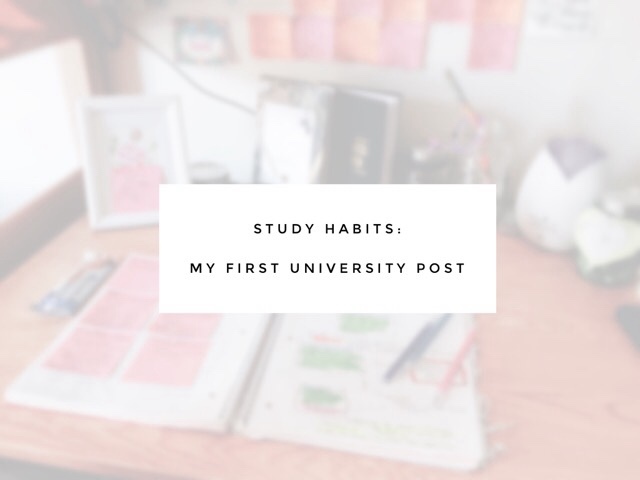 In the mean time, I wanted to share some amazing study habits that I have developed, and I am reaping the rewards of those study habits. Studying and getting good grades are not only great for your future career plans, but it also boosts your confidence. If you know you are doing well in school, and working hard, you feel better about yourself because you know earned that grade. If you are a committed college student who wants those good marks, make habit of these study habits. First and foremost, attend the lecture. You are attending college for a reason, and you have class lectures for a reason: to learn. It is important to attend lectures to receive information about course content, to create friendships, and get updated on important course information. In my anatomy and physiology class, we have these things called "clicker questions" and these "clicker questions" appear word-for-word on the tests. They are only available to the students who attended lecture. We basically get freebie questions in class. Not every course is like my anatomy and physiology class, but nonetheless, attending the lecture is important. Taking notes in class helps you remember the information so much better than just sitting and listening to the lecture. By the way, when you attend class and you take notes, that is a form of studying and ingraining it in you brain. Another really helpful tool that helps me study and keep up with the lecture is I print out my lecture notes. 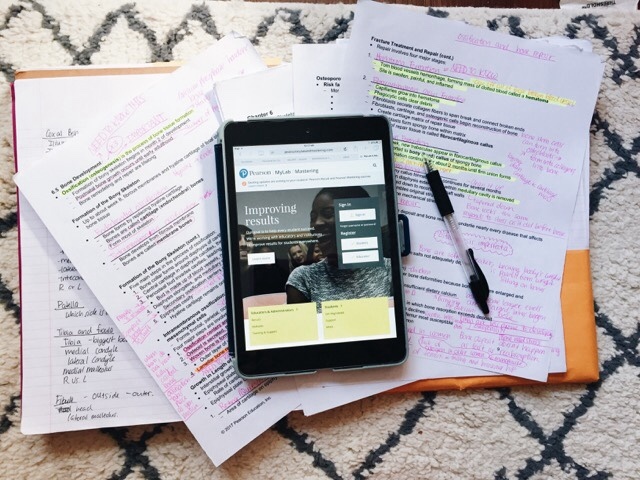 If your instructors make their power points available on the portal, or if it is linked to an e-learning site; whatever way you have access to the notes, print them out! You will not have to race to write down what is on the screen, and scribble down the additional things your instructor says. I know that is something that is frustrating to me, not being able to jot it all down. So, print out the lecture notes or power point, and add the additional things that your instructor says in the margins. Color coding is also super helpful. Most anatomy and physiology instructors color code their power points. The red items are the things you need to know word-for-word that will be on the test. The yellow items are the things that you can "short hand" in your notes, that could be on the test, and the green items are not on the test. Open your textbook, and actually read it. You pay enough for your textbooks, please read them. Your instructors would not have put them on the syllabus for you to purchase if they were not planning on using them, and using information from the book to test you on. I made the mistake in my previous college courses by not reading my book, and I struggled. That course was online, and poorly organized, but I guarantee I would have done at least 50% better in the course by reading the textbook. READ YOUR TEXTBOOK. Another great way to excel in your classes is to skim the chapter before you attend your class lecture. If you know what chapter your instructor will be lecturing on for your next class, skim that chapter so you are familiar with the concepts before you sit down and take notes. It will make note taking so much easier! Textbooks include the physical form, and E-textbooks. Whatever version you have, READ IT! Do your homework! Do your assignments! Do them with your textbook! Some classes do not have weekly assignments, but a lot of them do. All of my courses have homework, sometimes even weekly homework! With my anatomy and physiology course, my instructor takes questions directly from the homework and places them on the test. Plus, they are a part of your grade. If you do not do your homework assignments, you are missing out on your full grade. When you do your homework assignments, do them with your book. It is a homework assignment, so you will not know every single answer on top of your head, obviously. 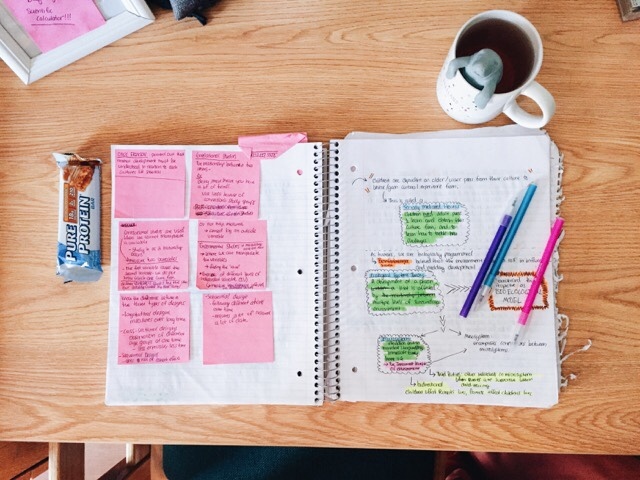 Do the assignments with your book, do them with your lecture notes, and take your time on them. Also, do not wait until the last minute to do them. That does not help you learn at all! When you study with others, you are not only helping those students, but you are helping yourself. Test each other on the content, and hold each other accountable. "What did you get out of the lecture?" "Did you miss something in the lecture? Are things making sense to you?" Ask your study group these questions. Reverse them, and let them know if you need help understanding a concept. 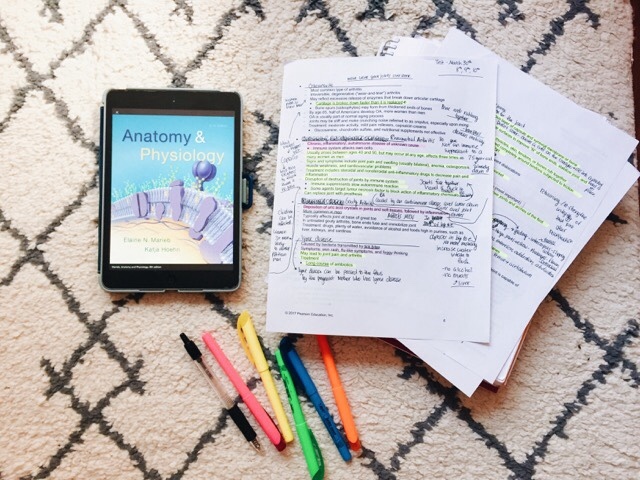 A great way to study is to make up questions from the lecture notes, and from the textbook, or even ask the review questions at the end of the chapter. When you ask the questions, you are also learning because you know the answer. This also allows you to see what you need to review before the test. Make note of what specifically you need to review before the test. A publisher subscription is when you buy your textbook, and it comes with a code, or you buy the stand-alone code and you receive your e-textbook with it. Whether it is with Pearson, or McGraw Hill, take advantage of your subscription! You paid enough for it, make it work for you. 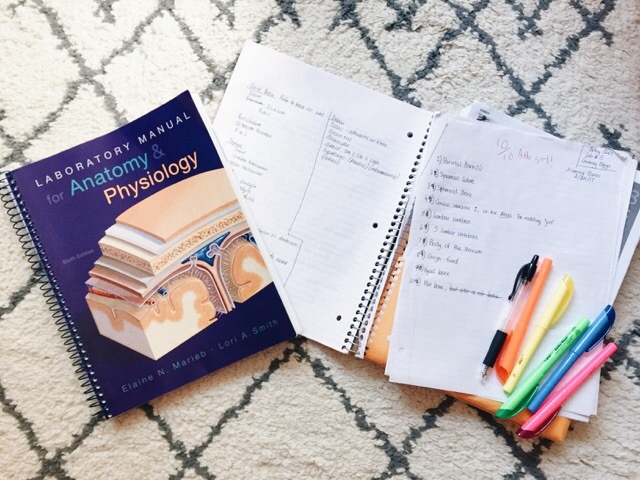 I am subscribed with Pearson for my current courses, and with anatomy and physiology, we have practice quizzes, practice tests, and even practice visuals for lab studying. These practice tests are excellent to study with, and to see what areas you need to work on before the test. Go over the questions you got wrong, write down the question, write down why you got it incorrect, and then write down the right answer. Do not just write down the right answer, look for the answer in the book. Prove the computer is right! Take an hour each day and study a week before the test. DO NOT CRAM. DO NOT CRAM. I WILL SAY IT AGAIN, DO NOT CRAM. You have heard that you are not supposed to cram before a test, and it is a true statement. Do not cram for your test. First of all, you do not actually learn the information if you cram. You do not learn the information long term if you cram. Instead, take the week before the test, and take an hour each day, and study. Whether it be taking an hour and re-reading the chapters, or reviewing/rewriting your notes. You can also do those study quizzes, or practice tests. Take an hour and get together with your study group! You can make flash cards, or review your homework. There are so many ways to study, it does not have to be boring. Here is another tip: Do not study with the TV on, turn it off, get away, and sit at a desk or a table. Do not make me say that three times. Sitting at a desk or a table, with the TV off helps you focus. If you relax, and remind yourself that you have this test in the bag, you will do great. Supplement positive affirmations and breathing with studying, and you will ace your test. No doubt about it. I didn't mean to sound like a drill sergeant, I just want my fellow college students to succeed. Take it from a third year college student who has had some experience in studying. 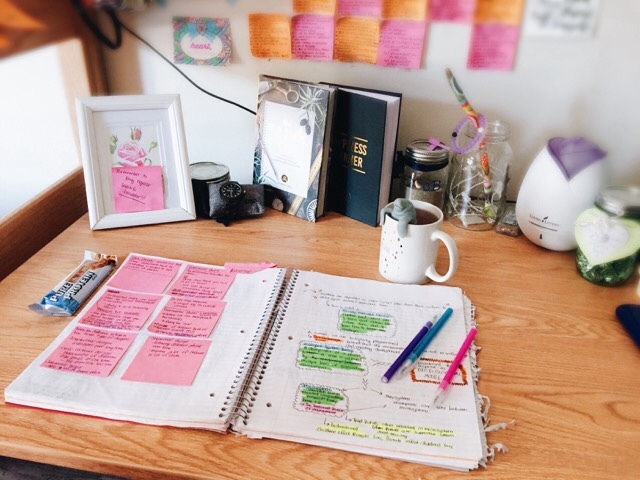 Honestly, studying takes some trial and error to create the best study routines, and only you can create study routines that best suit your learning styles. 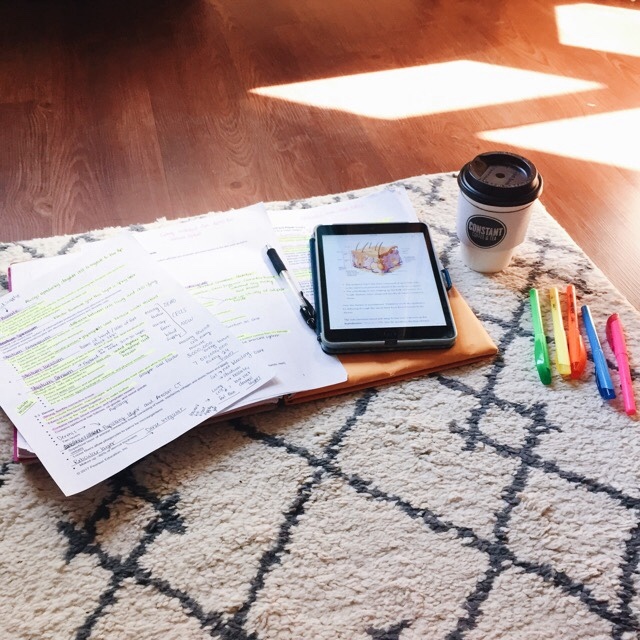 These are the study habits that have helped me be successful in my courses, and I hope you use them to help you be successful in your courses. Let me know how you do in the comments below. It is very interesting topics and also content.because first time we will post one education related post.it is exiting movement.so too many peoples had feeler this.